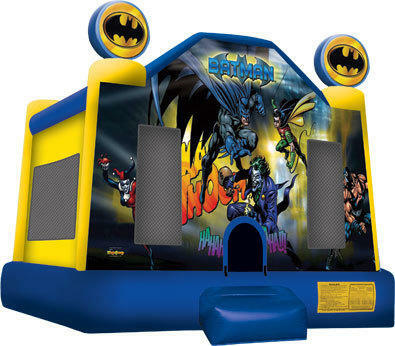 batman bounce house . remember all our rentals are for the whole weekend not just 24 hours .You can pick it up friday between 3-5 or saturday morning anytime after 7.30 am and its not due back until monday am . A full weekend rental from us for one low price ..